Brief Synopsis – A small time swindler begins working at a nightclub in Buenos Aries and quickly rises to the top of a crime organization but trouble brews when his boss marries a beautiful yet dangerous woman. My Take on it – This is a film that I’ve known aboyt ever since I first read an unknown STphen King novella in high school, but that still never got me to see what this film was all about. The use of clips of this film in that same story when it was made into a film a few years later also didn’t help get me to watch this movie. So, when I needed a film for the 1946 slot, I quite easily chose this one on order to finally try and understand what Rita Hayworth was so popular in this role. I honestly had no clue what this film was about before watching it and was pleasantly surprised that it was such an interesting and thrilling noir film that works on numerous levels. The story works really well and they take the arc in ways that help make the viewer care about everything that happens along the way and also about the characters despite the fact that none of them are saints. 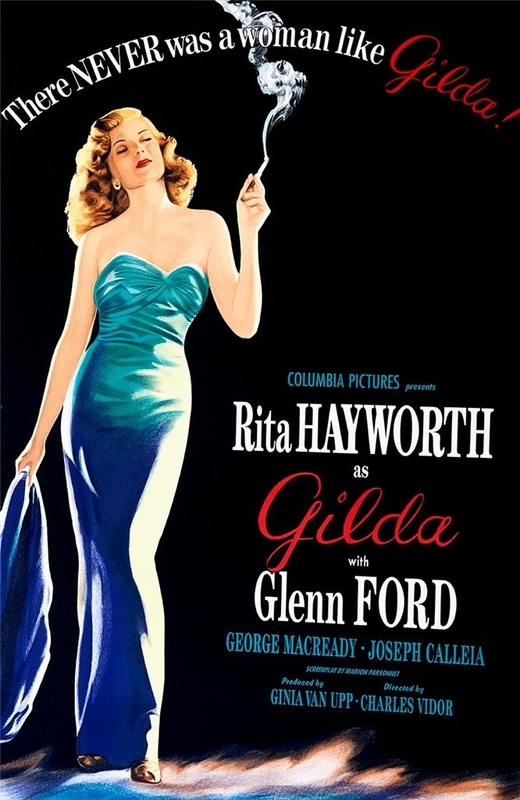 Rita Hayworth and Glen Ford are both great here and the chemistry of their love-hate relationship is sizzling throughout and it feels quite realistic throughout. They manage to develop the characters quite well and it’s quite simple to see who each of them truly are even if they are all quite layered. The supporting cast is filled with some really colorful characters and they add so much to the enjoyment of this story. Bottom Line – Great noir thriller that works on numerous levels. The way that the story arc moves, it makes the viewer care so much about the characters and what will happen to them along the way. Hayworth and Ford have great chemistry and yo can feel the love-hate relationship between them in a very realistic fashion. The characters are all developed quite well and despite the fact that none of them are saints, it’s still easy to decipher who each of them truly are despite the fact that they are all layered. Some of the supporting characters are quite colorful and that adds to the enjoyment of this story. Recommended!